What do I want from the Internet of Things? There’s an abundance of media reports and product innovation demos showing “connected refrigerators” that can email you to buy milk or clothes washers that can tweet when your clothes are dry, but I would categorize all of these as worthless, trivial, and counter-productive. These are driven by marketing departments to show that they’re hip. The reality might be slightly less slick on a brochure, but immeasurably more valuable. Here’s what I’m looking for in the future as EVERYTHING gets connected. So my last post was about how, from looking at the Sessions list for Google IO 2012, it looked as though Google had abandoned the hardware they presented at last year’s Google I/O. Now that IO 2012 is going on, we have some more information about what they’ve been doing. More interestingly for me (and other robotics enthusiasts), is the remarkably quiet news that there’s a new ADK in town. The ADK 2012 is still based on Arduino, but I haven’t found much info on it yet. 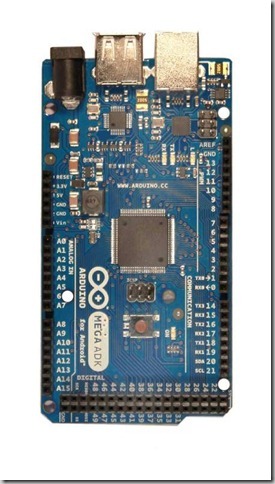 The only picture I’ve seen is over at the Arduino blog. Apparently they distributed “a limited number” of them at IO, but it wasn’t mentioned in the Keynote, like the original ADK was (now called ADK 2011). 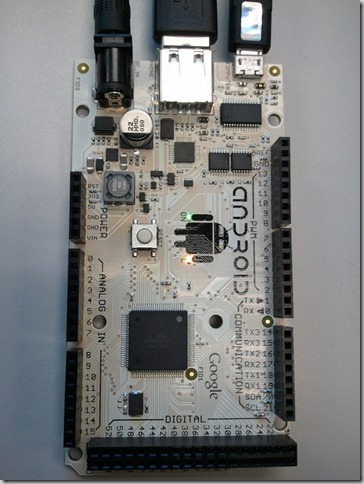 Lack of hardware focus at Google IO 2012? 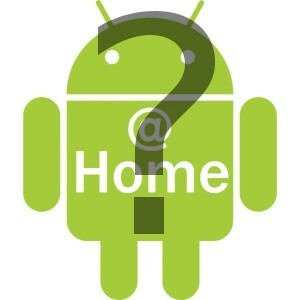 The schedule for Google IO 2012 has been released, and it doesn’t look like there are any sessions dedicated to hardware. This is kind of surprising, considering how much attention was paid to HW last year. At Google IO 2011 a good 15 minutes of the Day 1 Keynote was spent discussing the open accessory API, plus Android @ Home and Project Tungsten. 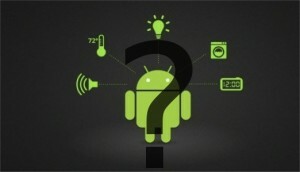 There were technical sessions dedicated to the Open Accessory API, Cloud Robotics, and NFC. And remember the giant “labyrinth” game set up to demonstrate on a large scale? Google hasn’t done a whole lot since then to promote these different projects. I’m not sure if they’ve pushed Android@Home or Tungsten at all, although I guess there are some rumors about a multimedia device going around. Even beyond the lack of continued support for things they announced last year, there have also been a few developments since then that should be worthy of a few sessions, right? Google has an autonomous vehicle, and even a license to operate on the road! But no sessions to discuss the self-driving car project? 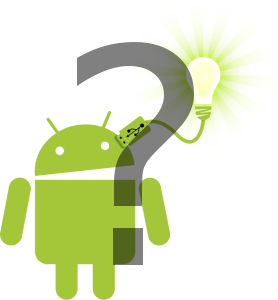 A few weeks ago I attended the Android developer conference, AnDevCon in San Francisco. 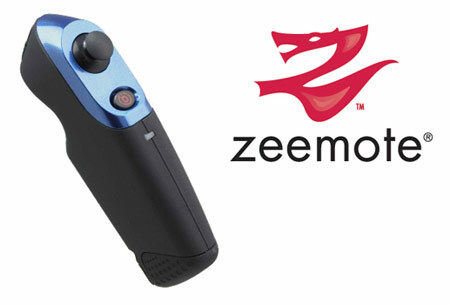 One of the registration giveaways was this bluetooth remote control from Zeemote. It’s very small, and right now only a few games support it. I wanted to experiment with it a little bit, to see what else it might be useful for, and wanted to write a quick demo program. Since I learned about Fragments at the conference, I though I’d use this as an excuse to include them in my project. One Fragment will display indicators for the 4 buttons on the controller. The other will represent the position of the joystick. Zeemote does offer an SDK for interfacing with the device, and some code samples to help get started. You have to register by giving them your email address, then you can download the SDK. Now, here’s my walkthrough for creating this demo app, using Eclipse. First, the base board itself is an Arduino Mega 2560 with USB Host shield, pretty much identical to the official Arduino ADK board. © 2019 Random Robotics. All Rights Reserved.